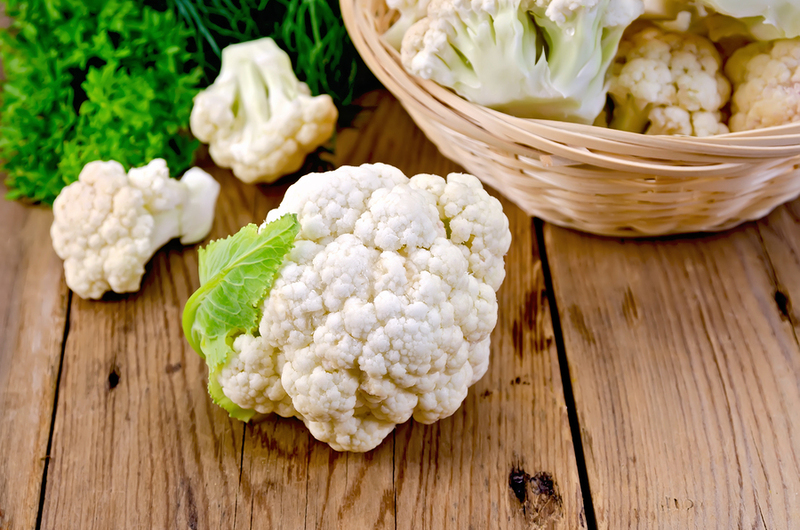 One of the big topics in my office lately has been the price of cauliflower – $8.99 or more in most stores. Yes, I believe in eating 7-10 fruits and vegetables but I’m in the same boat as the rest of you, I am on a budget and $8.99 for one head of cauliflower doesn’t quite fit in with that. This doesn’t mean you have to go without cauliflower, consider frozen instead. Frozen vegetables are a quick and easy alternative to fresh veggies and often very reasonably priced and the good thing is they won’t end up in the compost if you don’t eat them by the end of the week. If you’ve been down the frozen food aisle lately, you’ll notice that frozen vegetables now come in single-serve boxes, re-sealable bags or microwaveable bags that don’t even need to be opened before you steam your veggies in them. Frozen vegetables picked at the height of their flavour and nutritional value, blanched in hot water or steam to kill harmful bacteria, and then flash frozen at -40˚C in an effort to preserve their nutritional value. Some nutrient loss occurs in this process. Water-soluble vitamins, like vitamin C, are particularly vulnerable during blanching and freezing but I still believe that eating frozen vegetables is better than eating none at all. In a recent review I found that the degree of nutrient loss varies greatly from brand to brand. While frozen vegetables are low in sodium, some seasoned vegetable blends, like Green Giants Essentials or Artic Garden’s Grill Mix, are loaded with up to 204 milligrams of sodium per one-half cup serving – something you definitely won’t find in fresh vegetables so watch out for that! So, when you are next at the grocery store and don’t like the look of the fresh produce prices, head over to the frozen aisle and grab your favourites from there. Keep an eye open, as you may even see me there too! < Previous Are You Eating For Illness or Wellness?